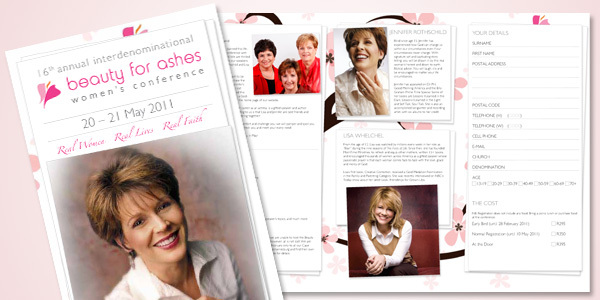 The Beauty for Ashes Women's Conference has been running since 2002 (the year One Part Scissors began!). 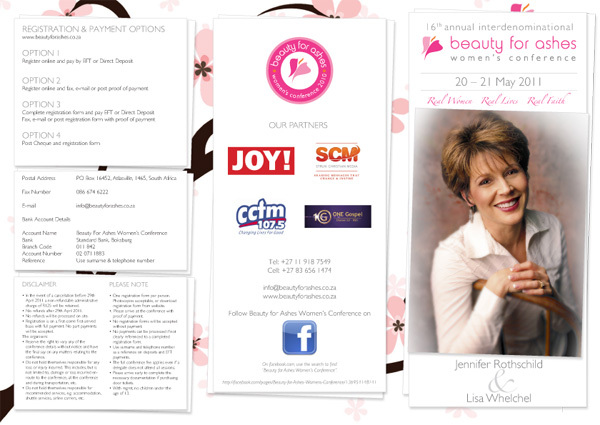 OPS was approached to create the print brochure for the 2011 conference. 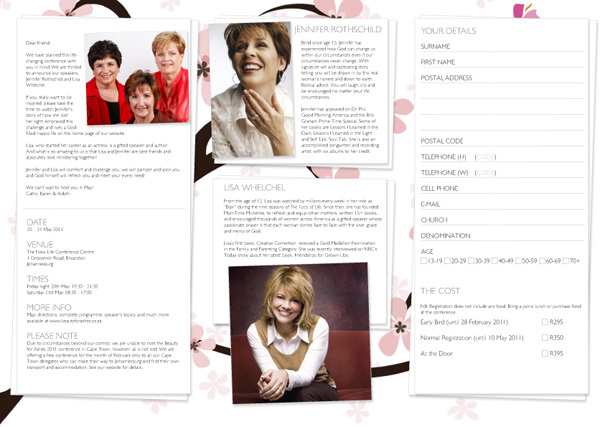 A look-and-feel was developed by in-house designers for the Beauty for Ashes website, and we continued this identity across to the brochure.